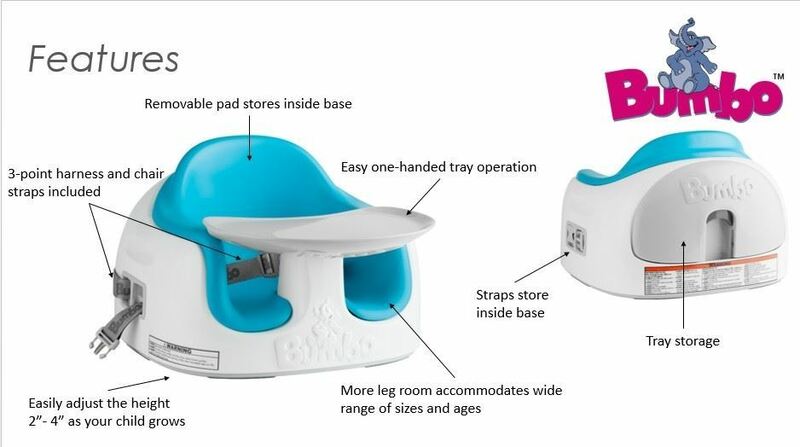 BUMBO MULTI SEAT,The multi functional 3 stage seat that is a growing companion for your child! 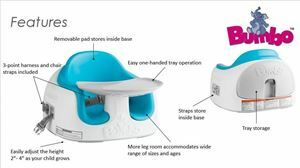 The multi functional seat from Bumbo can be used to feed the baby, a floor seat or as a booster seat. The seat can be adjusted according to the height. The 3 point harness is retractable which makes it more secure and safe. Feeding tray is removable which makes it easier to clean. Made up of soft foam cushioning, it has a built in tray, foam insert and chair straps.